The ArmeoPower is integrated within our iREACH clinical program, which offers advanced technology focus for upper extremity neurological recovery. Within this report, we would like to share our experience with use of the ArmeoPower at our organization and specifically in our iREACH program. The ArmeoPower is utilized for a multitude of patient diagnoses, including: stroke, spinal cord injury, traumatic brain injury, multiple sclerosis, etc. Sheltering Arms Rehabilitation Hospital offers inpatient and outpatient occupational therapy which serves the acute and chronic levels of impairment. 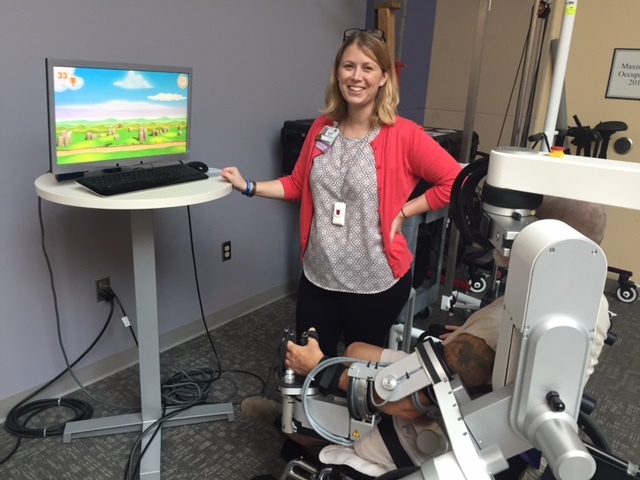 Our iREACH clinical program is an advanced technology program that acknowledges the multitude of technology options for neuro rehabilitation but offers a guideline to help clinicians determine what to utilize at each point of the patient’s recovery process. The guideline includes a decision making tool that offers treatment guidelines based on the patient’s impairment level, as opposed to the diagnosis. Each patient completes specific outcome measures, the results of which place each patient into a specific impairment category. 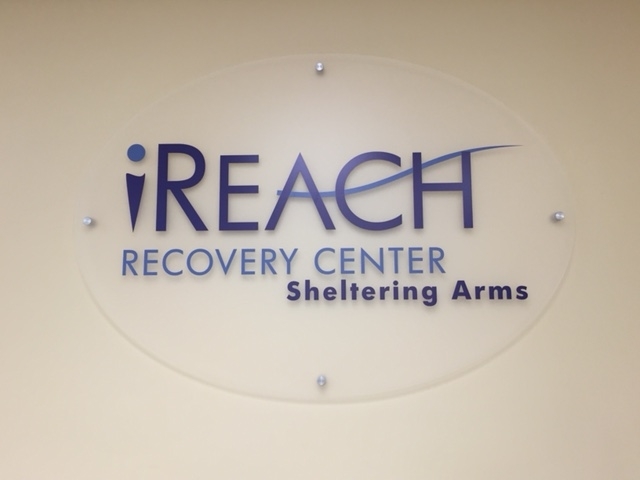 Once placed in the impairment category, the iREACH treatment guidelines offer recommendations for advanced technology to provide intensity and repetition through salient activities for optimal neuro recovery. Patients diagnosed with a neurological injury are evaluated to determine appropriateness for advanced technology, such as the ArmeoPower. If a patient scores 0-19 points on the Fugl-Meyer Assessment, for example, a patient may be placed into the severe impairment category of the iREACH clinical guideline. The guideline also takes into account sensation, vision, and cognition, in addition to motor performance such as ROM, tone, manual muscle testing, and gross and fine motor coordination. Based upon this testing, the decision making tool is utilized to recommend advanced technology use. Our clinical judgment and our unique knowledge of how to choose the best application of the technology is still required. The ArmeoPower, for example, can be recommended if a patient presents in the severe impairment category with low tone and decreased left visual attention. The ArmeoPower may also be appropriate in the moderate or even mild impairment category, as long as the correct application is chosen by the clinician (choosing less arm support, increasing visual detail, etc.). Patients with neurological diagnoses are scheduled for 60-90 minutes of occupational therapy each day during the week in the inpatient setting. The focus is to provide high repetition and intensity through the use of the ArmeoPower, or ArmeoSpring, for example, in each OT session while allowing for time to incorporate functional carryover tasks. Patients typically receive advanced technology treatment (via ArmeoPower or ArmeoSpring) for approximately 75% of their session, which provides sufficient time for conventional treatment and focus on ADL integration. This allows for high repetition and high intensity treatment, while ensuring functional independence goals are addressed. In the outpatient setting, patients receive 60 minute sessions 2-3 times per week. In that case, the technology is utilized in each session with focus on integrating high repetition with a home program that encourages functional carryover and continued practice. As described in the inpatient setting, advanced technology such as the ArmeoPower is utilized for the majority of a patient’s session, with the remaining portion to address carryover tasks. Depending upon the setting, a patient with neurological impairment may receive therapy services anywhere from two weeks to three months or more. Outcome measures are utilized to evaluate progress towards goals in both inpatient and outpatient settings, and assist in justifying continued therapy services in outpatient setting. Upon initial evaluation, the therapist administers assessments based upon clinical judgment and outcome measures results. Sheltering Arms uses its own proprietary, clinician-developed clinical practice guideline to identify these outcome measures that are supported in the evidence specific to the neurological population. Once the outcome measures and evaluation are completed, the therapist identifies the impairment category in which the patient falls—mild, moderate, or severe impairment. Progress is defined as improvements in outcome measures and improvement in impairment category. 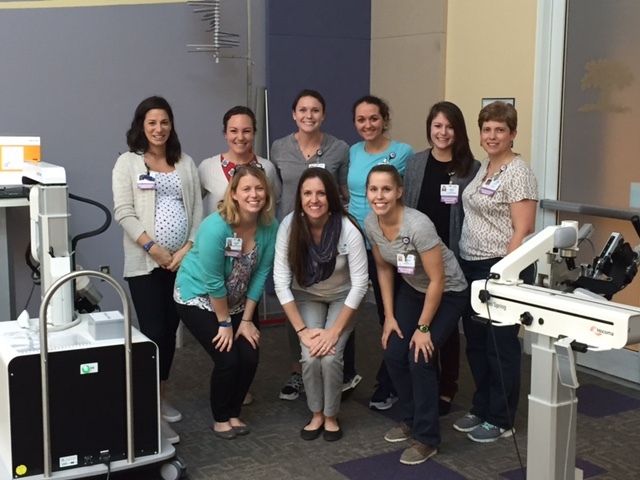 All full time Occupational Therapists (both inpatient and outpatient)are provided training on each specific piece of advanced technology and are assessed using clinical competencies. The OT’s are also provided additional training to become standardized users of the iREACH clinical practice guideline with an effort to create a culture of evidence based practice. For the ArmeoPower, there are three super-users that perform the initial training of the other clinicians. These super-users received formal training from Hocoma, as well as additional training to enable training of others. Our hospitals house 12 full time inpatient OT’s and 8 outpatient OTs or splits that cover both settings. Patients that are admitted with a neurological diagnosis always receive physiotherapy services in addition to Occupational Therapy. Speech therapy may be ordered in cases of cognitive and swallowing deficits while Medical Psychology is often ordered for coping strategies and affect. During PT, patients receive the same focus on high repetition and intensity through the use of advanced technologies such as the Lokomat, Zero G, etc. The OT’s also utilize FES cycle, hand based spring assisted devices, as well as hand and forearm based electrical stimulation. The ArmeoPower device allows for increased intensity and repetition for focus on recovery post neurological event. It also allows the clinician to be more efficient with providing these neuroplasticity principles, as well as removes the barrier of clinician fatigue. In the inpatient rehabilitation setting, patients are charged a daily feethrough their insurance for services which includes therapy. Patients are not charged an extra fee to receive advanced technology treatment no matter the device; it is simply included within the rehabilitation charges. In the outpatient setting, patients are billed via units received through their insurance under a neurological charge. Some patients receive charity care when qualified, others choose to self-pay for services. The majority of patients receive therapy that is covered by their respective insurance agency. Sheltering Arms has served Richmond, VA, since 1889 with a vision to shape the future of rehabilitation and enhance quality of life in the community we serve. We offer a continuum of care from acute rehabilitation and outpatient therapy services to community fitness and wellness programs. We have two inpatient rehabilitation hospitals with a total of 68 beds, four outpatient neurological clinics, and various fitness center options. 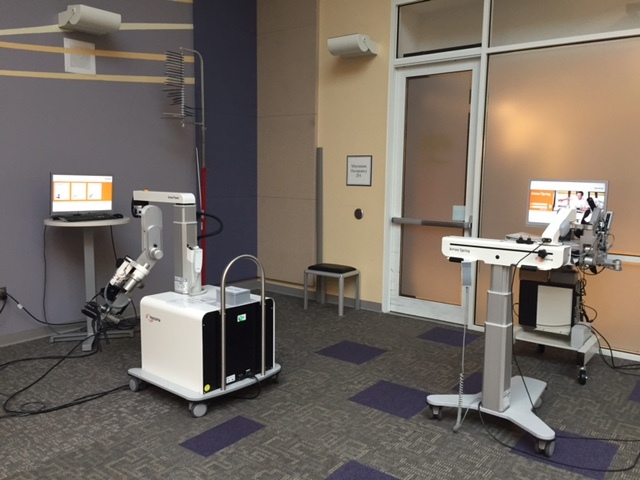 Advanced technology has a large presence at our facilities, as we are able to offer it at all neurological campuses (including inpatient and outpatient). This clinical experience report is meant to serve as an example of how the ArmeoPower is integrated into one particular rehabilitation center. It is not necessarily a standard recommendation from Hocoma.